I have been watching a few people close to me, in multiple areas of my life, go through changes of their own. There is shock and adjustment. There is grief and the reaching out to their own families in times of diagnosis. There is great care being given about work and future concerns of retirement as well as the day to day doings and the attempts to be with the moment, in how it is, and wondering what is next… what is the yet to be? I listen, observe and know that each of us is doing the best we can. We are not covering it up and being pretty about it. Life can be messy. 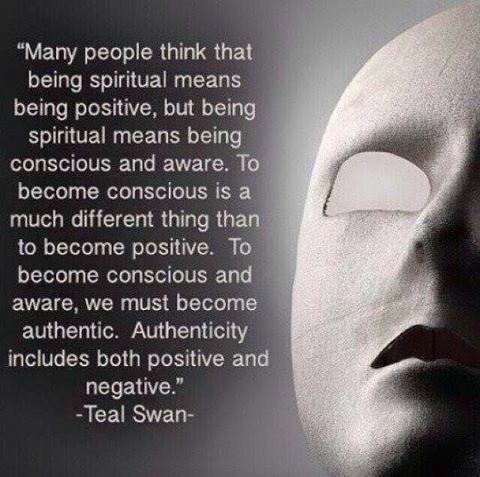 Then my beloved shares this picture and quote by Teal Swan on her Facebook page, and it summed up how I was feeling and what I was observing in the people around me. I really like this quote too. Too many folks think it is all about thinking positive. I’ve felt for the longest time that it’s about seeing what is there, acknowledging it, learning from it and still seeing the beauty of every moment. There is space for all of it in any given moment. Thank you for the share. It is a valuable work in process… ourselves.